Soweto primary and high school pupils are empowered by the Leadership for Learning intervention programme, a three-year programme to bolster leadership in schools and help improve literacy levels. 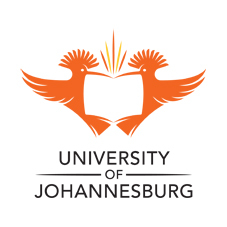 The Leadership for Learning intervention is a collaboration project spearheaded by the University of Johannesburg’s (UJ) Faculty of Education’s Leadership Institute (ELI), and the Harvard’s Graduate School of Education. The project piloted in the Johannesburg Central District will further equip more than 100 Soweto school libraries with reading books. The school libraries will each receive books to the value of R5 000 donated by the Nancy Best Foundation. More than 100 schools are participating in the Leadership for Learning programme that’s geared to improve literacy development across Gauteng. The schools had to motivate and explain how they are mobilising additional resources to expand their seed libraries. The schools that qualify for the books include 60 primary schools and 40 high schools. These include four schools for learners with special needs. The Nancy Best Literary Awards handover will be held at the Phillip Kushlick School, Chris Hani Baragwanath Hospital (entrance at the St Johns Eye Hospital) on Friday, 31 January, 2014. The event is scheduled at 2pm. The Leadership for Learning programme has drawn the interest of people such as Randy Best, an American entrepreneur and philanthropist who supports the initiative and is actively advancing learning experiences that make education more accessible for school children. In 2013, Randy Best, donated more R 500 000 ($50,000.) to libraries at Soweto schools with the aim to boost numeracy and literacy levels of South African youth.